The Hardscrabble Vest is a vital part of our Hardscrabble Layering Series. Each piece in the Hardscrabble Series is designed to keep you well insulated, and comfortable while providing a full range of motion. The Hardscrabble Vest is no exception. This hunting vest is designed to be worn as part of a layering system, or independently to provide superior insulation to your core. Bonding MTN-X2 face fabric to microfleece provides excellent breathability, and acts as wind barrier. With durable YKK zippers, and an anatomical fit, this camo hunting vest is sure to be one of your favorite insulation pieces. The Hardscrabble Vest has been tested for durability in extreme conditions by experienced hunters who demand nothing but the best from their gear. Every feature of this well-designed vest makes hunting enjoyable and more comfortable. The microfleece lined interior and MTN-X2 exterior combine to provide both warmth and breathability in a lightweight core layer. The large pull tabs on the pocket zippers allow for easy access in the dark or while wearing bulky gloves. The multi-directional stretch of this vest will not hinder your movements as you draw your bow or shoulder your rifle. The adjustable cord locks at the waist allow you to custom taylor the perfect fit. During frigid nights or mild afternoons, the Hardscrabble Vest will give you the insulation and comfort you expect on long arduous hunts. Awesome for layering or just to wear over a shirt. Fits well and allows for full movement while archery hunting. Warm and comfy. No regrets! Comfortable and great for layering. Wore this vest while splitting firewood and had no limitations swinging a splitting axe. I’m a vest guy! I’ve always hunted in vests, wether it’s too warm for a jacket, or just as an insulation layer, I’m always in my vests. This vest is tailored to perfection. It fits me like a glove, but it’s a vest. Haha. Can’t think of a single thing wrong with it. Blocks the wind great, not too hot but not to cold. Great piece. I would recommend this to anyone. I have always carried multiple long sleeve t-shirts for my layering systems. I decided to give the vest a try this season with the hopes of eliminating some layers that I don’t have to pack around. To say I am very satisfied is an under statement. I don’t carry any extra long sleeves anymore now that I have added the vest to my layers! It’s not only warm, but its amazingly functional! It has multiple pockets to keep calls, phone, camera and other essentials very accessible when you need them. I recommend this vest, you’ll love it! I have wore this vest probably more than I have ever before with any article of clothing in my life. It is super comfortable and can be warm over a long sleeve, short sleeve, a hoodie, almost anything! It’s got many pockets that are easily accessible! They are firm and not baggy so you can easily place heavy objects like a rangefinder or even binos if you don’t have a harness and need to set them down quick. I confidentally kept my cell phone in the side pocket all winter during the duck season and had zero issues with it freezing up because of the cold temps. The chest pockets are super accessible and can fit plenty of things. Usually the chest pockets are small and too snug but the ones on the vest along with the jacket are surprisingly deep and can fit a lot of things! Overall I was super impressed with this product and definitely recommend the purchase. The Hardscrabble Vest is my #1 layer for all things hunting and keeps the amount of layers to a minimum. I sized the vest to go over one long sleeve shirt such as the Kaibab Merino or Wasatch Crew tops for early mornings. I keep the Hardscrabble Jacket or the Ptarmigan Ultra Down in my pack if it’s cold and sized those to go over the vest if necessary. My set up is functional and adaptable to changing weather conditions and I am comfortable all day for both archery and rifle hunts. The design keeps the fabric close to the body and the zippered pockets make it easy to reach my other items. I’ve used this vest as my balanced warmth control in the field and kept it with me in the plains of New Mexico chasing speed-goats, sitting in trees trying to harvest whitetail, and hunting elk in the Rockies. Awesome vest with perfect amount of pockets and great fit! Love the durable zippers! This piece was a great addition to my gear. Its perfect for layering, and does a great job on crisp mornings when you dont want take a jacket but need a little extra something. I have had my vest for a year now its durable keeps me warm and looks like i just bought it. I have worn it during all times of the year. It’s great for cool mornings archery hunting. The pockets are nice and are big enough to put a range finder, gps, game calls, any small items you might need. I highly recommend the hardscrabble vest! This vest fits perfect and is warm enough on those cool early season Mornings but not to heavy that you eat to hot packing in. Thanks Skre!! Great for early season on those crisp mornings but you do not want to many layers. Fits slightly smaller than expected. However, overall amazing product! Great piece for layering. I love using this vest on the archery hunt especially. It breaks the wind nicely and keeps your core warm during the chilly hours of the morning and night. Just got done with early season elk hunt in mid western colorado. What a great vest for layering! put it on in mornings under my Hardscrabble Jacket and over my merino Skre under layer and was perfect. 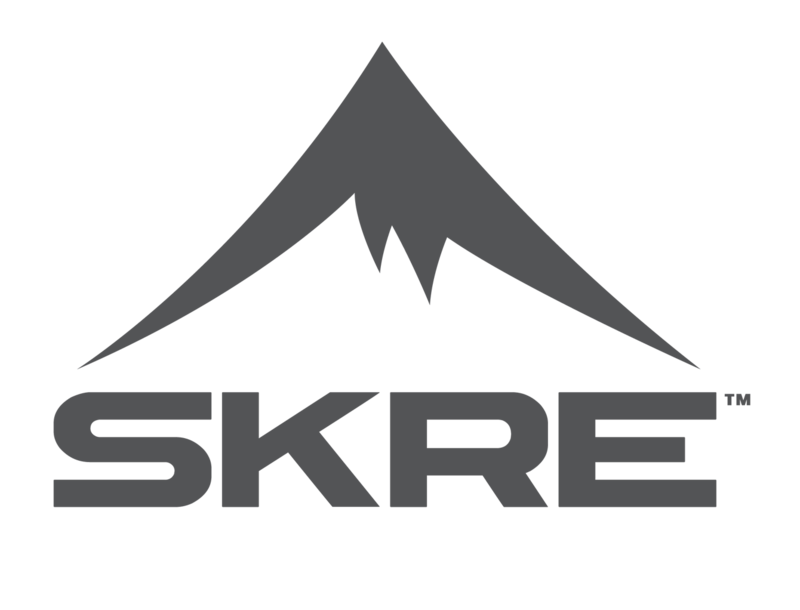 So happy that I chose Skre. the work that they have put into this gear is lasting. I wore all my gear for ten days strait and it is like new still very durable but sound dampening fabric. I’ve never been a vest guy. Always worn jackets but I ordered this vest to layer over the Wasatch shirts I have. I’m hoping it’ll be just a bit of added insulation to ward off the chill when glassing from ridges first thing in the morning. Wore it the other day (mid January) and the fit is very nice. All the pockets are great and allows me to carry wallet, keys, etc. Not restrictive to movement at all, which helped make it very comfortable. It was actually warm, kept me warm all day while the wife and I were out running around town. My arms got chilly but my core was comfortable. I get cold easy and I could see me wearing this on warmer fall/winter days and hope I get a lot of good use out of it glassing this summer and during the hunt in August/September. My vest has gone through two seasons now. It’s just like the day I received it. I wear it several days a week, aside from the field, as well. I get compliments on it, daily. This is, without a doubt, my favorite piece that SKRE has to offer. If you don’t have this vest, your missing the boat. It’s extremely versatile, and has storage like you wouldn’t believe, without looking obnoxious. I wear it doing everything from whitetail hunting, to out on the town. The Mountain Stealth pattern seems to make you disappear to coyotes, and deer. They come in close enough to kiss.